Arthur Crudup's original version of "So Glad You're Mine" was recorded on 22 February, 1946 and released as a single on RCA Victor 20-1949. Unlike the other two Crudup numbers he covered, Elvis's version has a substantially different arrangement, omitting the piano. Crudup was born on 24 August, 1905, in Mississippi. His big stature, even as a child, earned him the "Big Boy" name. 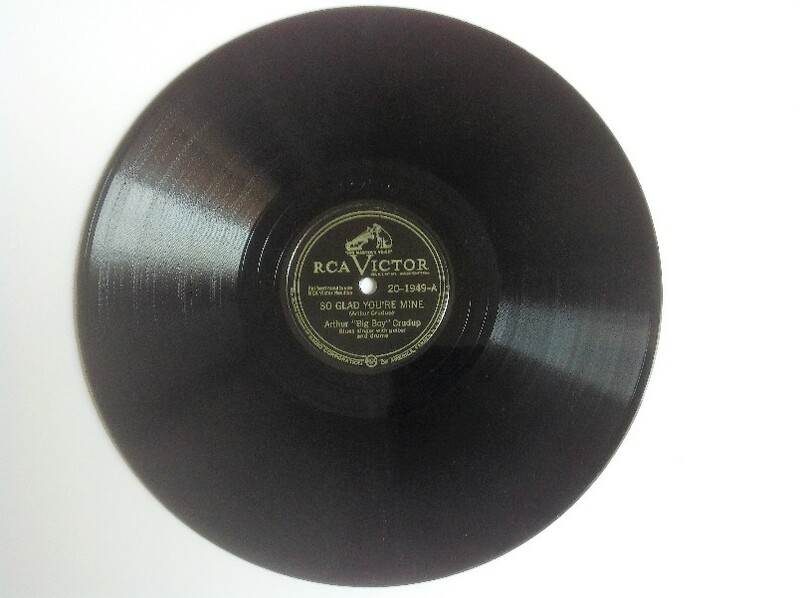 His first recordings were made in 1942 on the Bluebird label. Royalty disputes with blues producer Lester Melrose kept Arthur Crudup a poor man and it was not until Elvis recorded Crudup's "That's All Right (Mama)," "My Baby Left Me" and later "So Glad You're Mine" that he received the attention and recognition he deserved. Unfortunately, Melrose still did not pay him the money to which he was entitled and Arthur Crudup died a poor man on 28 March 1974. My Lord, you can hear me squall. She said, 'I'm so glad I'm living'. I cried, ooo darling 'I'm so glad you're mine'. I cried, 'I'm so glad you're mine'.